This was the lesson swiftly learned by Nick Giffen when he opened Sheen Sports in the Upper Richmond Road in 2008. As a result the most eye-catching display in their shop is a floor-to-ceiling wall of trainers, boots, and running shoes. There are 280 different models, some in amazing luminescent colours, ranging in price from £25 to £145 a pair, and together they amount to an almost irresistible temptation to anyone who loves sports shoes. 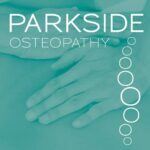 With this attitude it’s no surprise that Nick and his staff have built up a loyal customer base, many of them local people who Nick, who grew up in the area and attended East Sheen Primary, knows well. It’s also attracted a fair sprinkling of local celebrities like former rugby star Lawrence Dallaglio, who buys sports kit for his children, actor Tom Hardy, star of films like The Dark Knight Rises and Inception, and former TV newsreader Trevor McDonald, who is a keen tennis player. 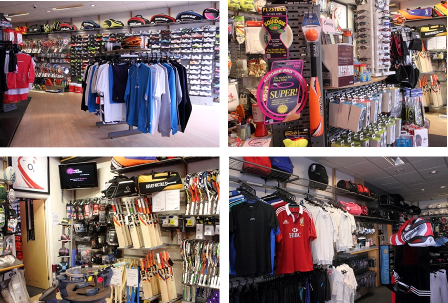 The shop stocks plenty of sports clothes which change with the seasons, currently cricket and tennis gear are prominent. But tucked away amid the various displays are many other sporting items, including referees whistles and ping-pong balls. As well as a large range of tennis rackets, the shop offers a complete re-stringing service for tennis, badminton, and squash, for anyone whose favourite racket has broken a string. Like its owner, staff, and stock, Sheen Sports is really on track. So it’s no surprise that Nick has built on his success and opened another sports shop in Richmond run by his younger brother Chris.